In our continued series of highlighting our Team Drivers, our next edition is a very interesting one. 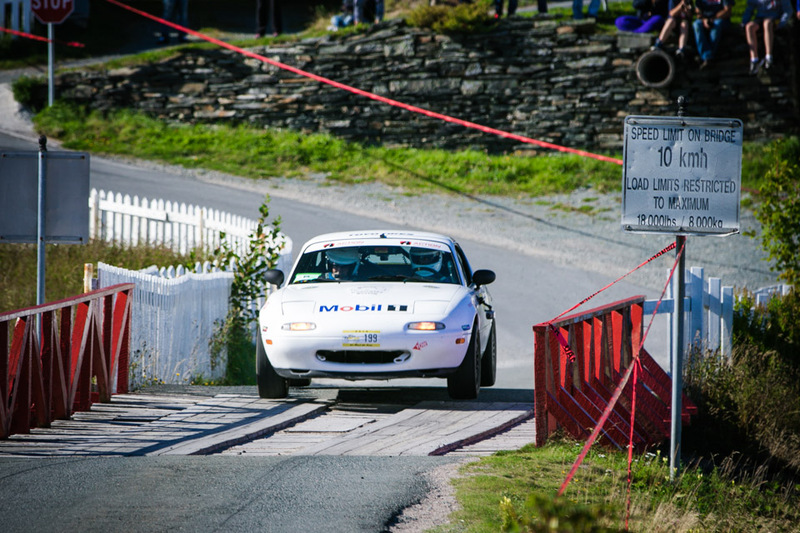 When we first signed Bryan Bursey up on our original Team Support Program, he wasn’t the typical Spec Miata racer (yet), but rather a racer that was competing in the Targa Newfoundland Rally with his NA Miata! This IMMEDIATELY caught our interest, as the Targa has always been on our bucket list for events/races we’d want to participate in. Knowing Bryan would be a great contact to have on our list if we ever get to realize that dream, as uncovering information about this rally that is a world away from us here in Florida automatically places us at a high learning curve. Bryan has been a long-time and loyal member of our Team Support Program, so naturally we wanted to invite him to our Team Driver program when we began it recently. Not only was it impossible to not grin when we thought of having our 5X Racing decal on a Miata that’s competing in the Targa, but also feel Bryan’s experience in the Targa is a very interesting one and wanted to know more, as well as tell his story to our customers and followers. We hope you get inspired by his accomplishments and support him in turn by following his social media pages, checkout out his Youtube videos, and visiting his website to follow along with his adventures! Originally from Newfoundland, Canada, Bryan always loved cars and racing, but never more than a spectator. This is a familiar story to many who weren’t “born into” racing (like myself), so it serves as a great inspiration as to what’s possible by “just going and doing it”. With his Targa steed procured, his co-driver and him arrived at Targa 2015 with a steep learning curve ahead. After a week of long days on wet roads, they kept the car between the ditches and were pleased to find themselves in 3rd place in the Targa Classic group! This was a great accomplishment for such a grassroots effort! During the event, Bryan’s outlook on further racing efforts took a turn away from Targa, as he found out that he'd be moving to Texas for work. Having already been bitten by the motorsports bug, as soon as he arrived in Texas, the process of figuring out how to get into racing began. By March of 2016, Bryan had bought a Spec Miata, joined NASA, and attended his first HPDE event. He worked his way through the 4 levels of HPDE, then onto Time Trial by June, and then completed Comp School in October. However, the Targa still beckoned, and in September of 2016, he returned to Targa Newfoundland to compete once again. It was the 15th anniversary with a larger field, and having learned a lot from 2015, the team had aspirations of bettering their 3rd place finish from a year earlier. Unfortunately, brake issues dropped them 28 seconds to their competitors on Day 1. They pushed hard all week, but finished 4th in Targa Classic, just 27 seconds off of second place. 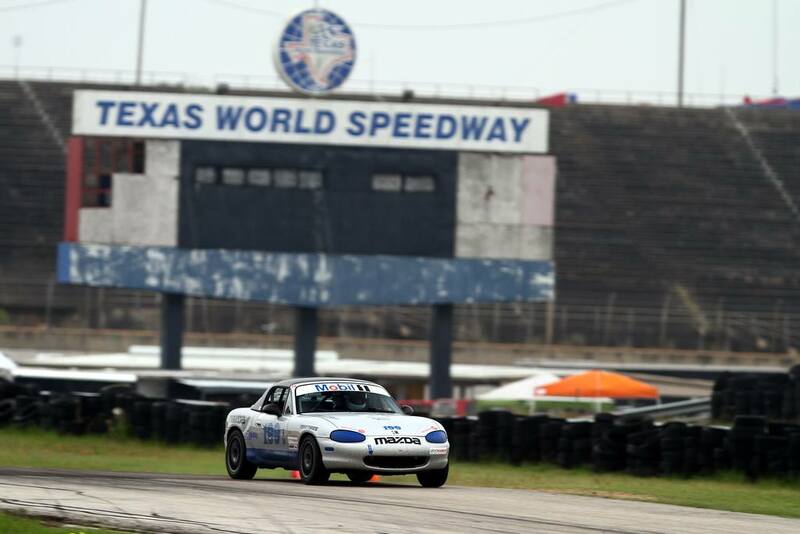 2017 shifted back to circuit racing as it was to be Bryan’s first full season of racing in Spec Miata with NASA Texas, which regularly features 30+ cars on track. He had his first top 10 result at Texas World Speedway in April, had the opportunity to race at Circuit of the Americas in May, and even flew back from a business trip in Kazakhstan to race at Hallett, Oklahoma, in June! The love of racing compels us to do crazy things! With Bryan’s work requiring frequent relocation, he is relocating again immediately following Targa 2017. This time it's to the United Kingdom, and if all goes as planned, he'll be able to complete 3 races, in 3 countries, in the 30 days! Targa from Sept 10-15, Spec Miata in Texas from Sept 22-24, and a Max5 race in the UK at Silverstone on Oct 7-8! This is absolutely awesome to us! I am so stoked to possibly have a 5X Racing decal on a car racing in not only the Targa for the third time, but also the exciting Max5 racing series in the UK!